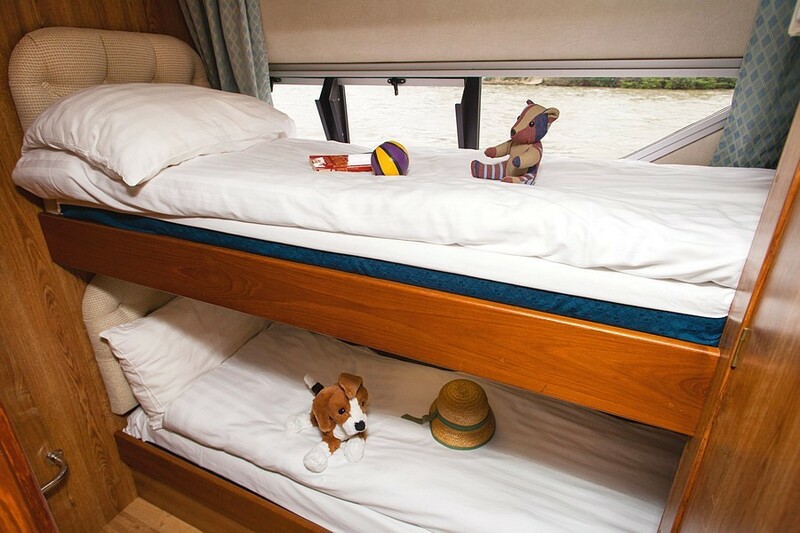 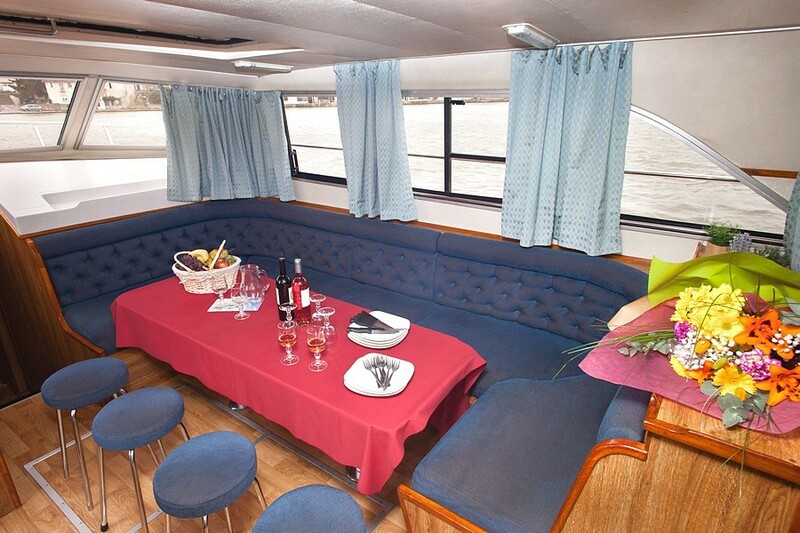 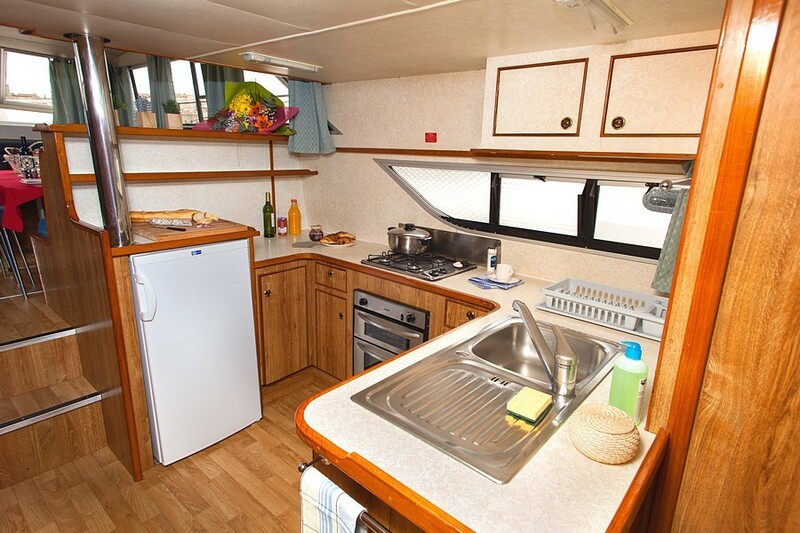 Very spacious and easy to manoeuvre, ideal for big families or groups. 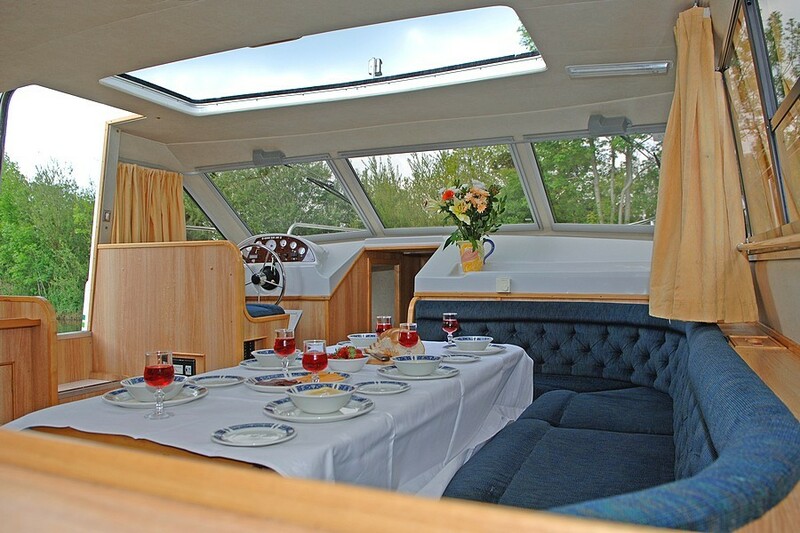 Two steering positions, one inside and one outside. 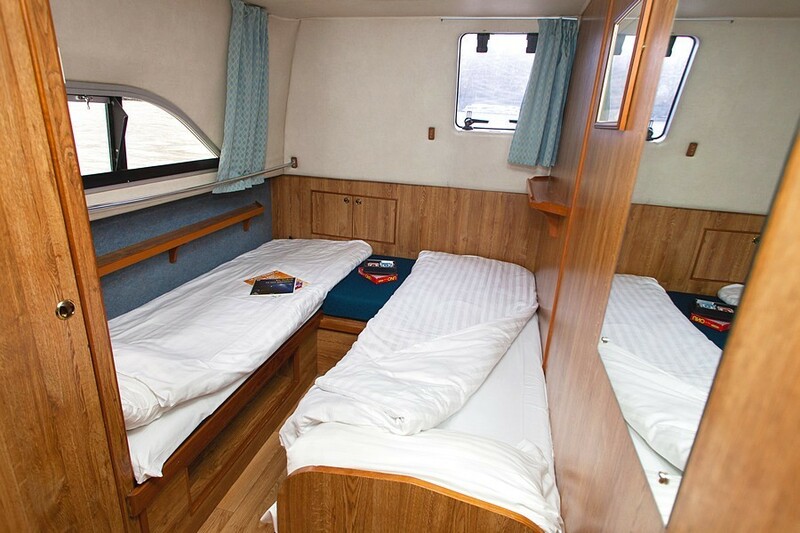 Two cabins in the front, one with a double bed, the other with two singles. 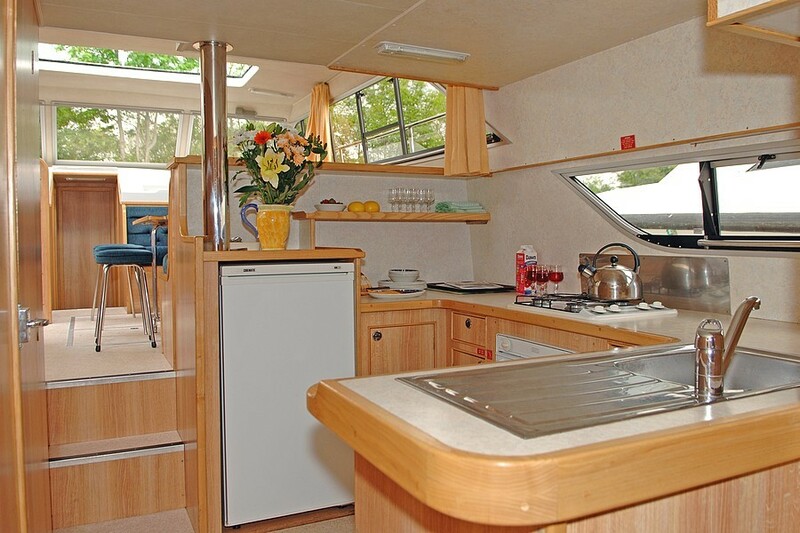 Very spacious saloon with settee/ dining area and steering position and a side door on to the deck. 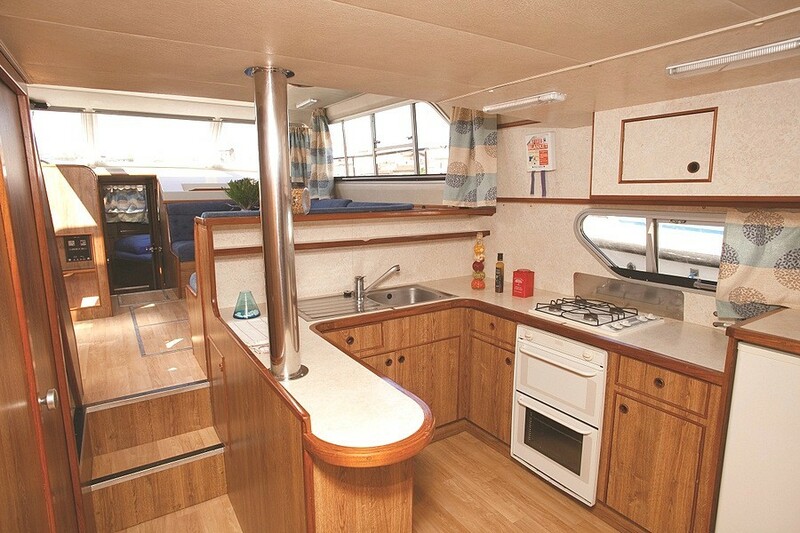 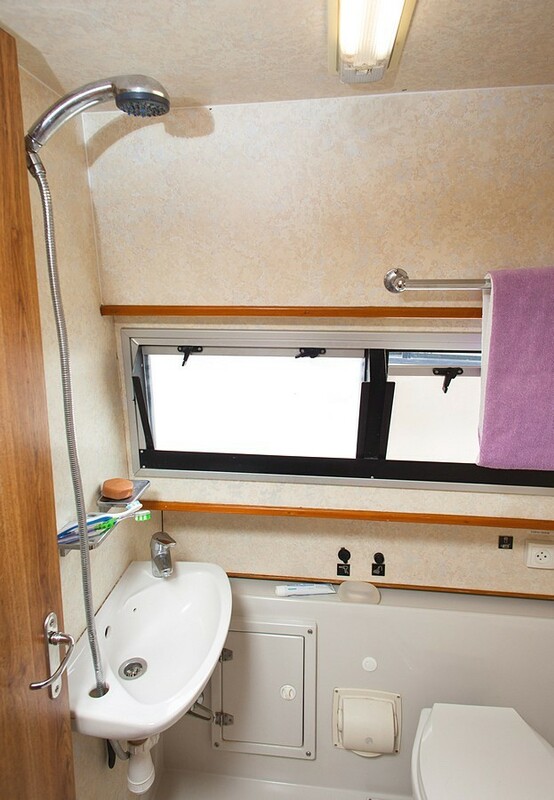 Large galley on a lower level, equipped with refrigerator. 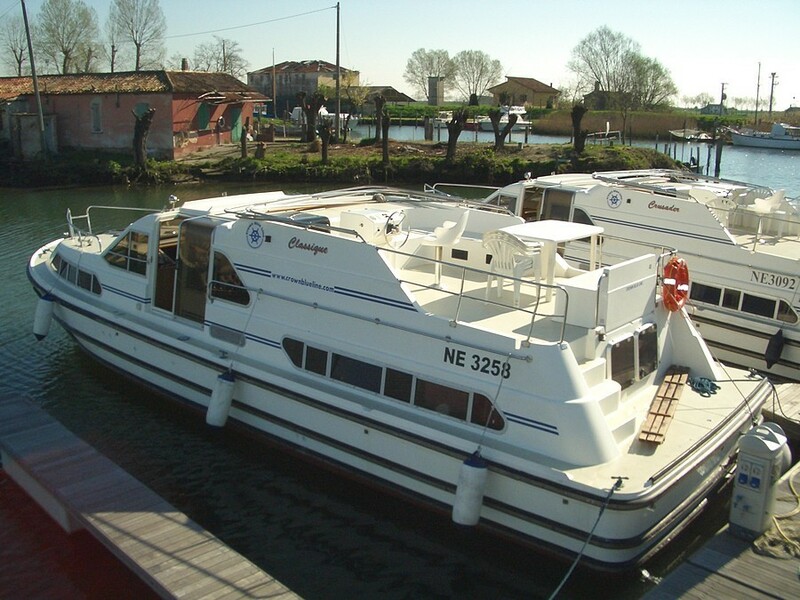 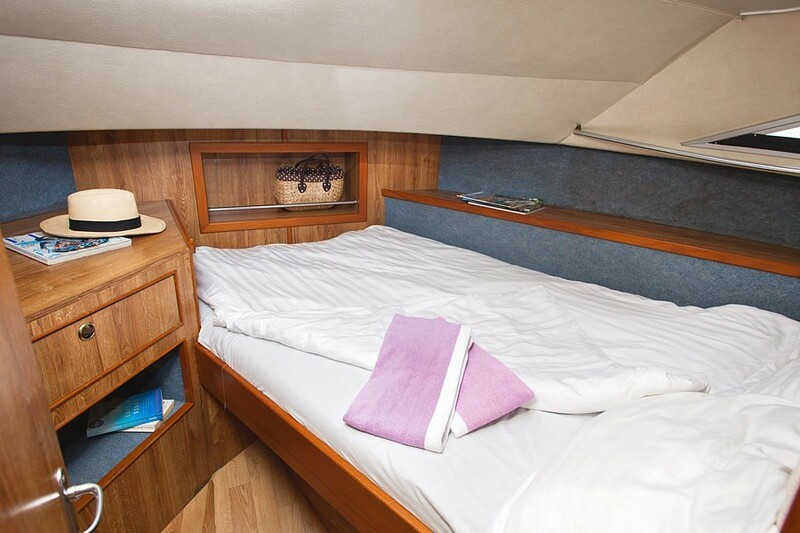 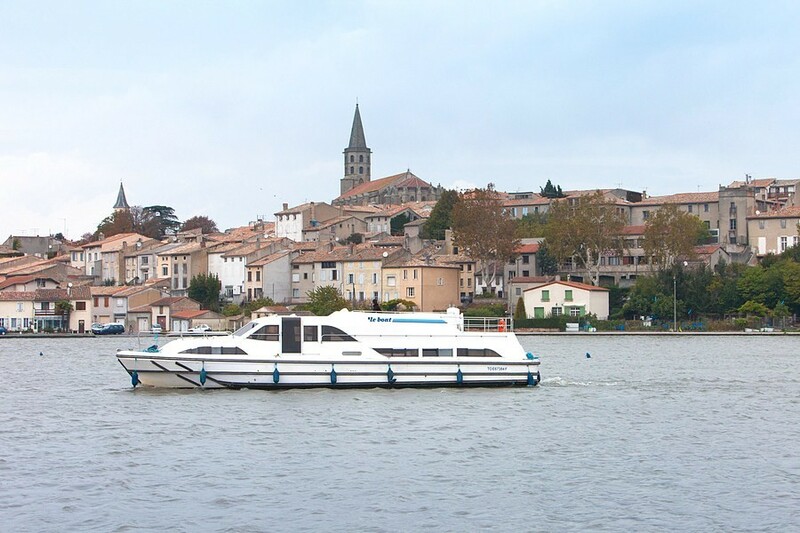 Three cabins at the rear, two with either double bed or two singles and one with 2 bunk beds. 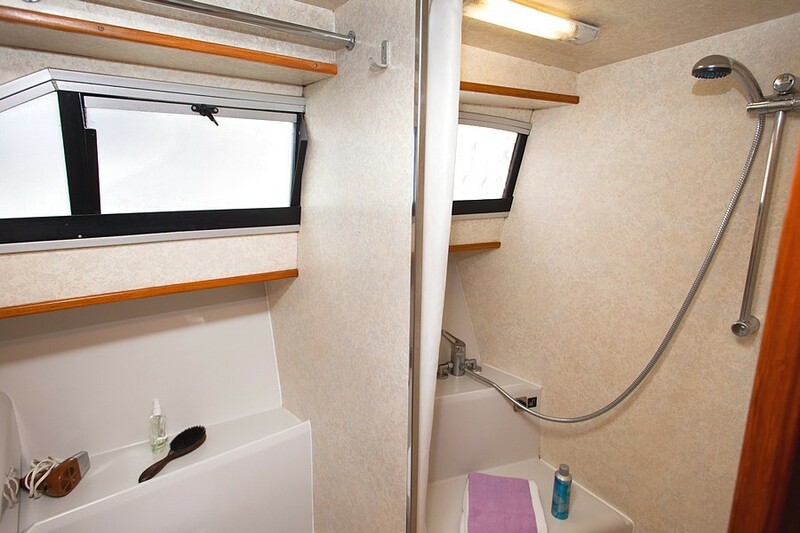 Three toilets and showers. 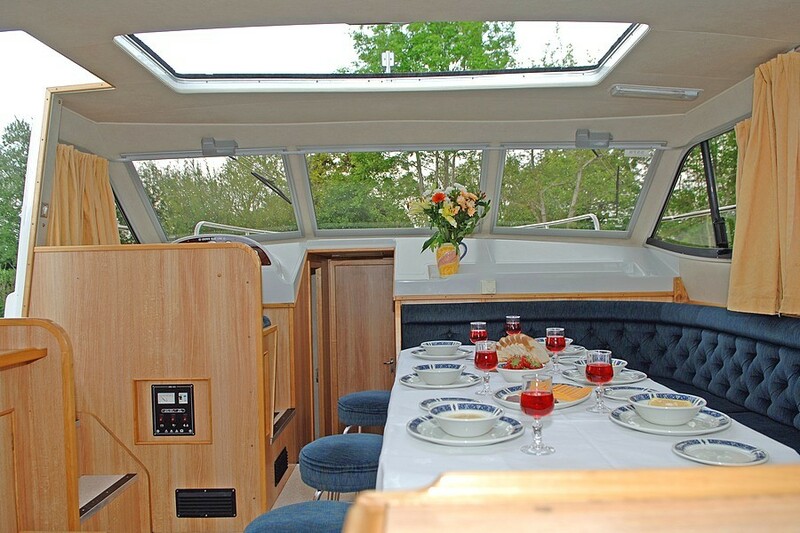 A large sundeck with second steering position, table, chairs and parasol, with a door connecting to the saloon. 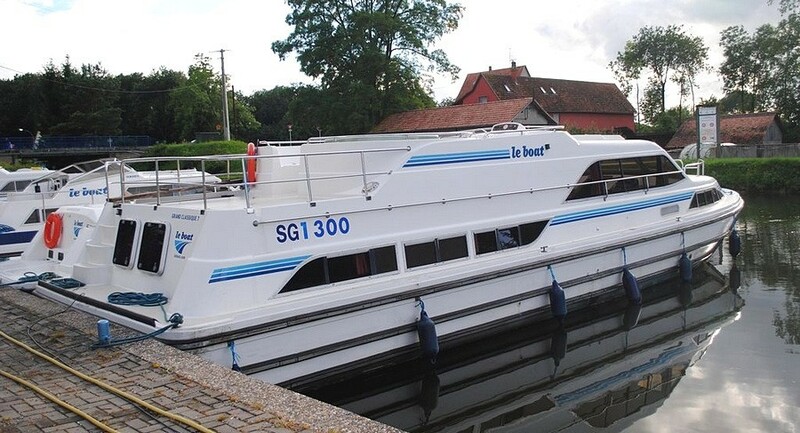 Bow thrusters.